Londark or Flavours of Sicily? 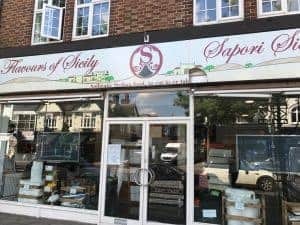 We noticed that a lot of people stop by our shop looking inside and then right afterwards look at our signage which reads “Flavours of Sicily”. Well in order to avoid any sort of confusion, I decided to dedicate a post explaining the situation. This property used to be a former Italian restaurant and had been abandoned for almost a year when we took over. It took us almost 4 months to finish the works inside the shop as the property was not in a good condition and the whole process of changing a restaurant into a retail shop was a time consuming process itself. Hopefully we were able to finish everything by the end of February and officially opened the shop in March. However the missing bit was the signage which also happens to be an important one. We were looking for a type of sign system that is called flex face. It is a type of fabric made from PVC which pretty much looks like banner but maintains a high transparency and is installed on top of a light box. This feature allows easy passage of light when the light box is turned on, illuminating the banner graphic. Although a brilliant method, this type of illuminated sign systems are not widely used in the UK and there are not too many companies that produce them. And the prices… let’s not even talk about that as astronomy is not what we are specialised in! We have already ordered our new sign from overseas and it will be with us in the next couple of weeks and once here we will put an end to all the confusions. In the meantime please don’t pay attention to the sign, we are Londark! Make your own compost at home! Compost acts as a reinforcing agent for soil enriching it with nutrition that are essential for the growth of plants and agricultural crops. That is why sometimes it is referred as “Black Gold” for its prominent role in gardening and agriculture. 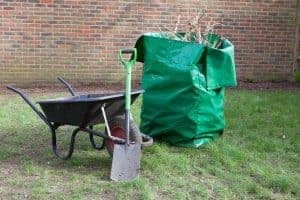 Nowadays, it is popular to produce compost at home using compost makers filled with garden waste such as fallen leaves, branches, twigs, bushes etc. and waiting for a few months as microorganisms inside the contents convert the waste into compost through some chemical reaction. This is usually done in popularly used plastic compost makers which nowadays could be found in many houses. However we have come up with a brand new idea for shortening the process of production of compost, overcoming some of the issues that typical plastic compost makers have and of course reducing the price. 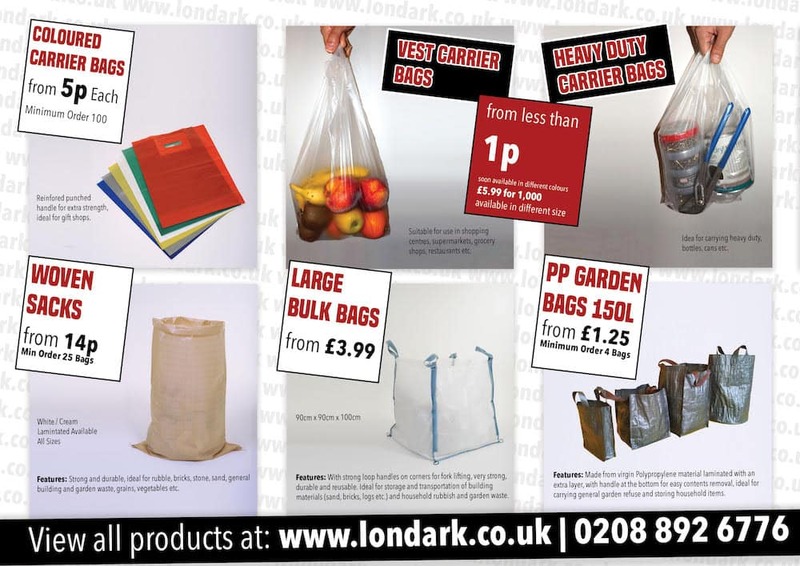 Our PVC Tarpaulin made bags were initially introduced as typical waste bags for collection of garden rubbish and although theoretically we knew they could be utilised as compost makers, we would rather putting them into practice and seeing it ourselves before any advertisements. So we filled the bag with all the fallen branches, leaves and twigs in the garden and closed the cap leaving it for a couple of months. The result was absolutely stunning! Not only a fine pile of compost was produced, the whole process was also significantly accelerated compared to typical plastic compost makers. The explanation is easy and simple if you know the nature of the material used for this product. PVC tarpaulin is a strong 100% water proof fabric which is mostly used in tent structures and generally for protection purposes against sun, wind, rain etc. In typical plastic compost makers moisture could be easily evaporated through the gaps and open spaces of the item and every now and then you have to pour some water to maintain the humidity inside the compost maker in order for the reaction to go through. However with a water proof fabric, evaporation rate would be almost zero percent. Technically, there is no need to add water in the first place as the moisture inside the content is sufficient and maintains a suitable environment for the whole process to be done with higher efficiency. Based on our experiment, by using PVC tarpaulin compost maker you could obtain a fine ready-to-use compost within 3 – 4 months time while with typical good quality compost makers this process could take up to 6 to 8 months and sometimes a year. The product is UV resistant and withstands sunlight decomposition as well as being fire retardant. 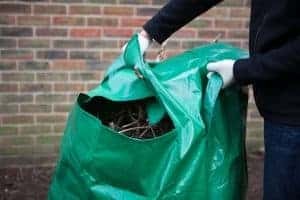 use the bag for rubbish and garden waste collection. benefit from the efficient method of making compost. spend less money on a very good quality product. If you want to give this brilliant product a try, click here and buy it now as the summer is gradually arriving and garden works will soon commence. It is a great pleasure for our team at Londark to announce that our next cargo full of new commodities is arriving soon. 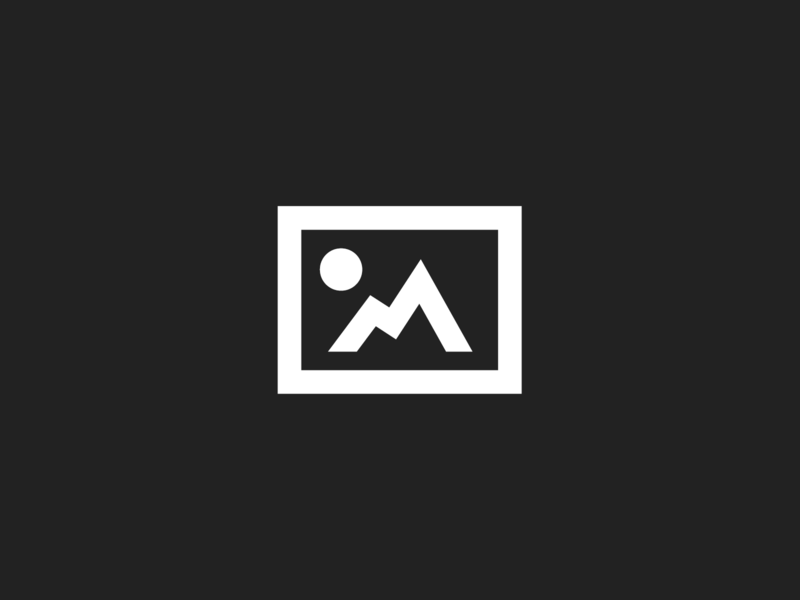 As a start up, our team have put a really hard effort throughout this time to work out our clients’ requirements and try to assure them of the high quality of our products and services. Hopefully with all the positive feedback we received from our customers on our ebay shop and through the phone calls and emails, we are now more than ever sure that the path we stepped in almost 2 years ago is towards brighter days. 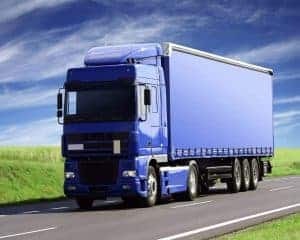 The new cargo contains products which have been sourced and produced based on our clients’ requirements and market demand. Our popular garden bags which were sold out in the early days will be back again on our stock with 2 new additional types. The quality of these bags has been remarkably increased compared to the previous ones with the changes we applied on the sewing method and the material used. The cargo also contains white vest carrier bags which will be available in 3 different sizes in the packs of 1000 pieces. Unlike our see-through bags, these bags are plain white and are suitable for supermarkets, conveiniet stores, off licenses etc. The quality of these bags are guaranteed and the prices, as always, will be very competitve. 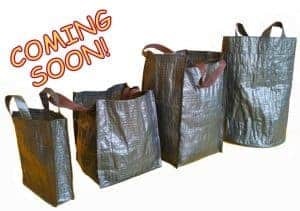 There will be lots of other new products such as laundry garment covers, industrial black bin liners, new types of woven bags and so on. Make sure that you check our website and social media pages frequently for new updates. We would like to thank you for trusting our brand and shopping with us. We are proud to announce the opening of our new website that has been designed with the aim of improving customer experience and satisfaction. 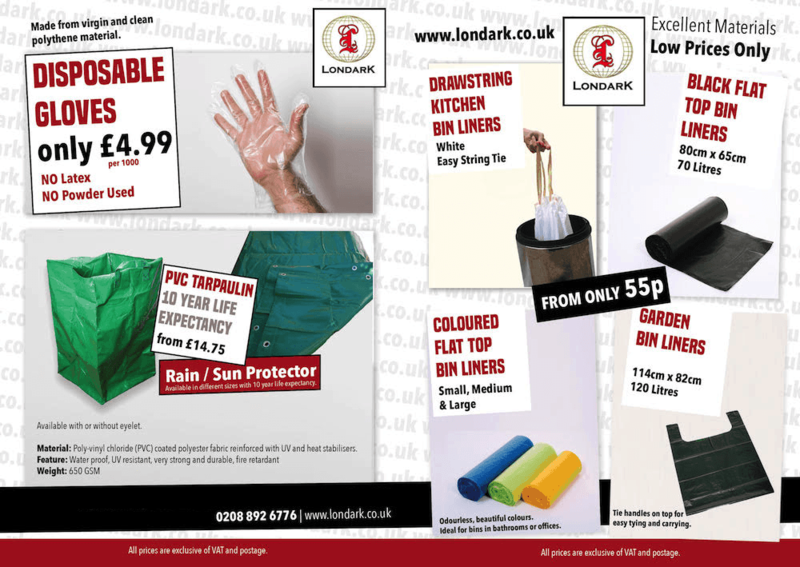 With a larger range of products, we are here to provide you and your business with high-quality products with competitive prices you will not find anywhere else!